You can ask for info/help about FIWARE and forward specific requests to us by sending a message to any of the following contact emails. A good practice before asking for info/help is that you first check the answers already provided in our FIWARE Q&A platform. All the queries sent to these lists generate tickets with all the available details published on the internet (including names, email addresses, etc.). If you do not agree to this please do not send messages to them. Please take the time to check which mailing address best suits your question and/or purpose. It may help to provide a faster response. The General Help mailing address is for those with non-technical questions and/or who want general info/help about FIWARE. 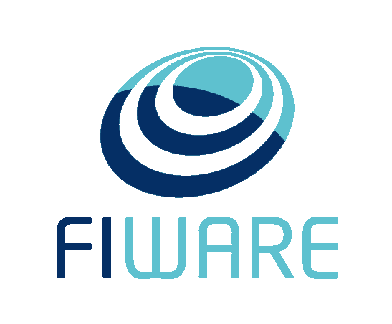 Information such as “What is FIWARE?”, “What are FIWARE’s goals and what is its value proposition?” and “How do I join the FIWARE Foundation?”. Before sending a request to this mailing list we encourage checking out the other mailing lists to make sure it is the right list for your needs. Got questions about the FIWARE Acceleration Programme? Then this contact email is for you. We’d be more than happy to advise you about our funding opportunities and to help you materialize your ideas. Before sending your inquiry, please check out the page dedicated to the FIWARE Acceleration Programme to see if the answer to your question can be found there. Via this email, we look forward to receiving questions and requests from media and press. Looking to stay up-to-date with the latest FIWARE news, events or opportunities, as well as developments in and around FIWARE? Then follow us on Twitter via #arroba#FIWARE. Are you organizing an event or workshop in the near future and looking for someone who can represent FIWARE by means of a presentation, or something else? Let us know and we will do our best to find a suitable candidate for you. Before sending out your email, have a look at the FIWARE Evangelists, who are already spreading the word through their technological know-how and experiences with FIWARE. If one (or more) of them sound like the right person for the task then don’t forget to mention who. Use this email address when you have technical questions about FIWARE, including requests for technical support or enhancements on reference implementations of FIWARE GEs (Generic Enablers). Non-trivial technical requests will be transferred to StackOverflow, where they will then be answered. Before emailing us it might be a good idea to check whether your question has already been answered on StackOverflow. This email should be used to communicate requests for technical support on the usage of the FIWARE Lab. Non-trivial technical requests will be transferred to StackOverflow, where they will then be answered. Before emailing us it might be a good idea to check whether your question has already been answered on StackOverflow. Are you looking to collaborate with FIWARE in some shape or form, or do you wish to use FIWARE in one of your projects? Don’t hesitate to contact us, we’d love to hear about it and always welcome proposals. The objective of FIWARE Mundus is to promote the adoption of FIWARE in European regions and internationally reaching countries outside Europe where the take-up of Internet innovation can occur and impact local markets. Want to contribute to the FIWARE Mundus initiative, or even better, set up a FIWARE Lab node in your region? Let us know, we’d be more than happy to assist you! For any questions or requests regarding media coverage please contact here.